Please Note: The summary given below is of a 150 page document is centred on housing and therefore has omissions. To read the full document please click here. 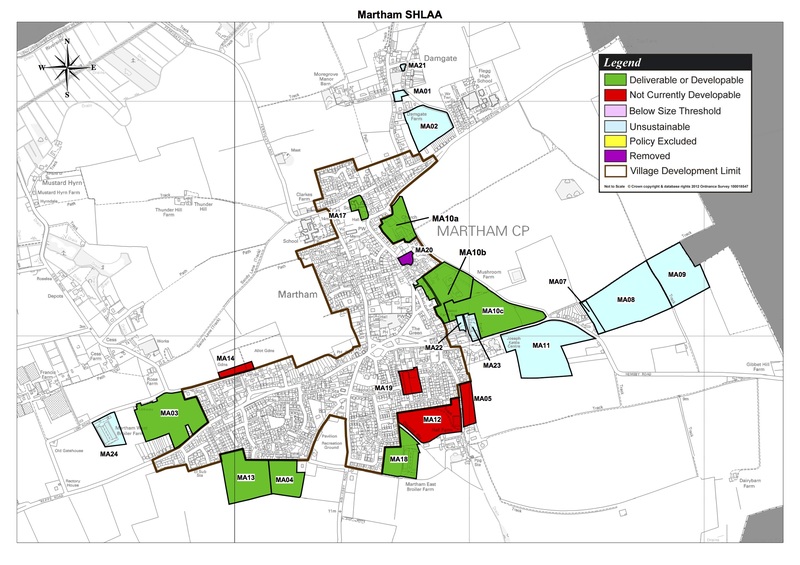 In Martham there will be an aim of 20% for affordable housing on all developments of five or more houses. Land allocated for light industry will be protected unless it can be proven that it is not required. In Martham this includes land on Hemsby Road near the existing light industrial units. What does this mean for Martham? There will be an updated version of this as part of the Core Strategy but this has yet to be published. Presentation given to Parish Council Feb 2018 by Landpro. Outline application to be submitted. No application or consultation taken place. Public Consultation taken place, Full Planning Permission applied for 100 dwellings August 2015. Full planning permission granted 5th April 2016 for 100 dwellings. Developer Persimmon Homes, demolition and preparatory work being undertaken March 2018, note that there will be NO affordable homes on this site due to high costs of cleaning up the site. Presentation to Parish Council October 2014, outline planning permission for roads only December 2014. Going before GYBC Development Committee 8th March 2016. Outline planning permission granted 8th March 2016. Developer Norfolk Land Ltd. December 2016 – Now up for sale. Public consultation taken place. 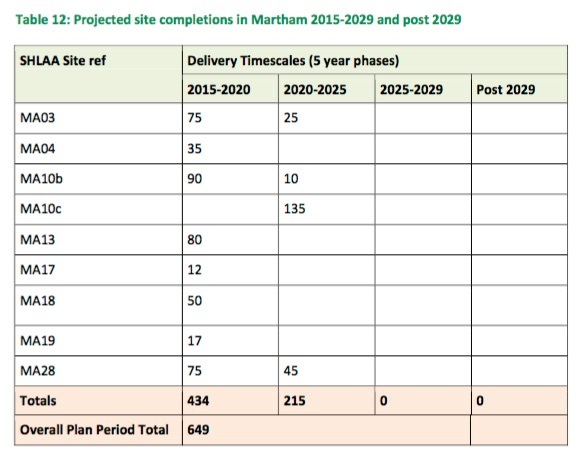 Outline Planning permission applied for Nov 2015, Granted May 2016 55 dwellings. Developer Amber Investments. Completed 9 dwellings. Further two under construction and full planning permission for a further three applied for, going before GYBC Development Committee 8th March 2016. Permission refused 8th March. Resubmitted June 2016. Passed August 2016. Presentation by Badger Homes to Parish Council January 2016. Badger Builders pulled out May 2016. Outline planning permission applied for 144 houses August 2016. Many matters reserved. To go before GYBC 8th Feb 2017. Now includes new roundabout on Repps Road. Outline planning permission granted Feb 2017.